INSIGHTS brings you the highlights and most valuable ideas gleaned from 19 speaker talks and presentations to serve as a ready reckoner for the current industry practices in marketing technology as adopted by some of the most successful brands in the country. Practicable insights on various aspects of marketing technology such as data-driven marketing, consumer behaviour, future trends, marketing challenges and more. Pointers to help you direct your goals in adopting and implementing marketing technology for your business/work. 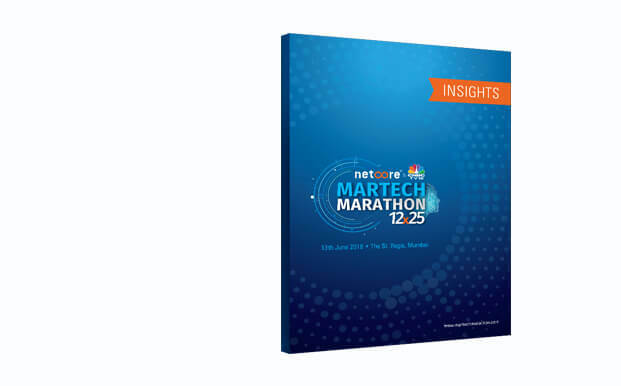 An understanding of what makes Martech evangelists successful in these times of technological disruption and transformation.